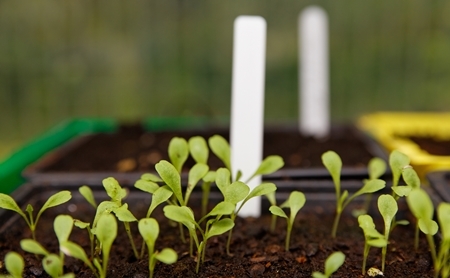 If you’re not an experienced gardener, growing a plant from seed may seem a daunting prospect. However, with a few guidelines, you can grow your favourite vegetables or garden plants with ease, confidence and success, whether it’s for a window box or a large allotment. Sowing seeds indoors or in a greenhouse allows plants to be started off under a steady and controlled environment. When growing from seed, plants have three basic requirements: moisture, air and adequate temperatures. Not all require light to germinate. Cold and too much damp will delay development and increase failure rates. Decide what you are going to plant your seeds in. 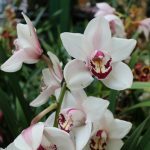 The 2 most important things to consider are giving the roots of your new plants enough room to grow and drainage for the water to drain out through. The most economical option is a propagator readily available from any garden centre or nursery. These consist of plastic seed trays or individual plug trays which sit in a drainage tray, which in turn acts as a water reservoir. Most seeds’ germination relies on the growing medium or compost being kept just slightly damp to the touch. Propagators have a clear plastic lid to conserve the humidity – and temperature – in the container. For seeds that require gentle heat it may be worth investing in an electric propagator. These come in all shapes and sizes, starting out with very affordable models that can just sit on a windowsill. 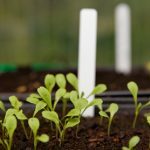 When it comes to the actual planting container, for very small seeds you’ll be best with a shallow single seed tray until the seedlings have emerged at which point you can prick them out and separate into modular plug trays. For larger seeds you can start straight out with the plug trays. An alternative to plastic seed trays is fibre pots. Better for the environment as there is no plastic waste, fibre/peat pots also sit inside a tray with plastic lid and absorb the moisture from the reservoir keeping the surrounding area of your seeds nice and moist. When you’re ready to transplant into the ground you can break these pots apart and plant them directly into the ground where they will break down over time. This of course means less chance of damage to the delicate root system of your new plants. Use a standard, soil-based or soil-less seed compost for seed sowing. These are finely milled and contain few nutrients, which could damage seedlings. Fill your selected container with compost, level, firm gently and place in the reservoir & the compost will wick up the water. For larger seeds make holes in the compost using a small stick and use tweezers to place the seeds in to a depth of about 3 – 5mm. For best results place the seed with the ‘pointy end’ down, if it has one. This allows the seed to use minimal amount of energy orientating itself and also reduces the risk of the seedcase becoming stuck while trying to push free. For smaller seeds, with dry hands, take a small amount of seed in the palm of one hand and gently tap with the other, distributing the seed evenly over the compost surface. Once sown, all except most fine seed, need to be covered. To avoid dislodging the seeds when covering them, use a sieve to gently shake a fine layer of compost over them. 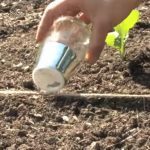 Label the seeds, lightly water again and cover with the plastic lid or a sheet of glass to maintain a constant low-level continuous temperature and exclude draughts. Ideally the temperature should be around 18ºC (64°F), unless the seed packet states otherwise. Once you spot signs of germination and the little seedlings appearing through the top of the compost, start lowering humidity levels by slightly opening the plastic lids to allow a little fresh air to circulate, gradually increasing air levels before removing the lid altogether after a week or so. Once they germinate, all seedlings require high levels of natural light for strong healthy growth. When the plants have grown to a sufficient size remove them from their small plastic containers and transfer them to bigger pots or into the garden. They can be planted outside in the garden or vegetable plot in May or June once the last frosts have passed. Henry Street Garden Centre has a huge range of propagators and grow your own accessories to help you propagate your seedlings into strong, healthy plants.